AMBER LOVE 07-SEP-2014 I’m thrilled to welcome back to the show, JENNIE WOOD, the author of the graphic novel series FLUTTER and the YA novel A BOY LIKE ME. One of the best things you’ll find in Jennie as a guest speaker and writing mentor is that she will always discuss the positive impact of comics and literature before opening any controversies. 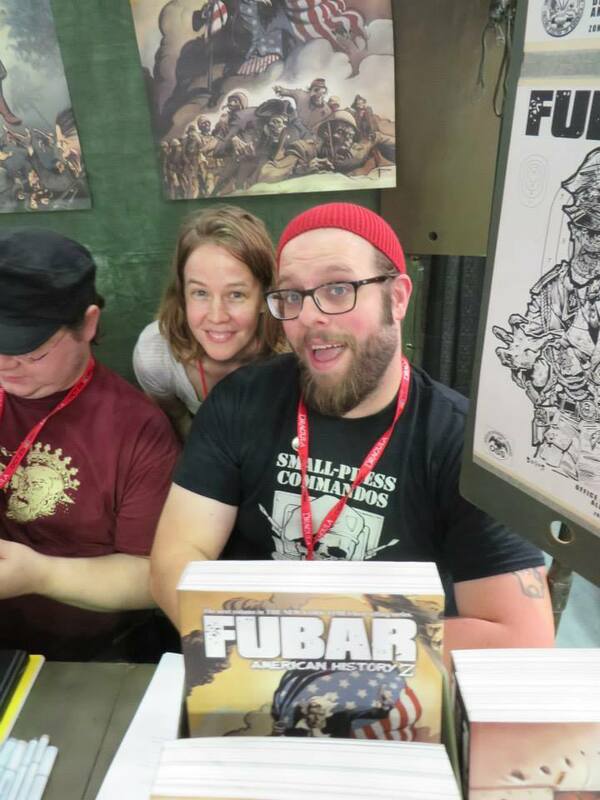 She focuses on how comics like Ariel Schrag’s POTENTIAL changed her life. I opened the door to discuss #GamerGate and other misogynistic arguments that have hit pop culture recently. Download in iTunes, Stitcher or listen here. There is good news for FLUTTER fans. If you loved volume one, artist JEFF MCCOMSEY is partnering with Jennie again to make volume two. Both of them are also involved in the best selling series FUBAR. Like volume one, the next volume will be published by creator friendly publisher, 215ink, which also published A BOY LIKE ME. 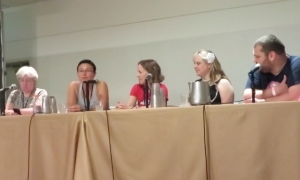 Jennie discussed what it was like to have her first YA novel book launch. A BOY LIKE ME had been shopped around to different publishers but she felt 215ink was the best place for it and you’ll hear why on this episode. She gives a lot of credit to her trans issue consultant Tate Fox, her first editor Kelly Ford and her second editor Mike Perkins, who has been on Vodka O’Clock several times himself discussing business at 215ink and fun science news. If you missed us in Boston, we’ll both be at NYCC. Jennie will be making appearances at the 215ink and GeeksOut! booths. 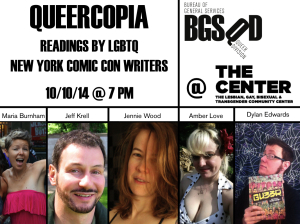 She also organized the off-site queer and ally readings the Friday night of NYCC. 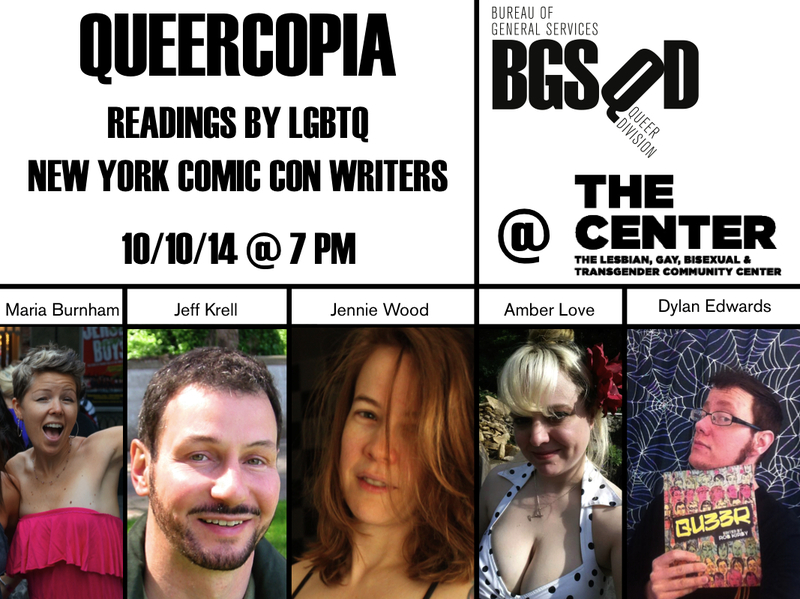 Dylan Edwards, Jeff Krell and Maria Burnham will join us in select readings at the BGSDQ center to celebrate writing LGBTQ subject matter and creators.